In his continuing effort to become a "jack of all trades, master of none", Timmy pursues all kinds of interests, including creative writing, Star Wars movies, and reading shampoo bottles. He's worked many jobs including over 16 years at a local radio station 94.5 KATS-fm. 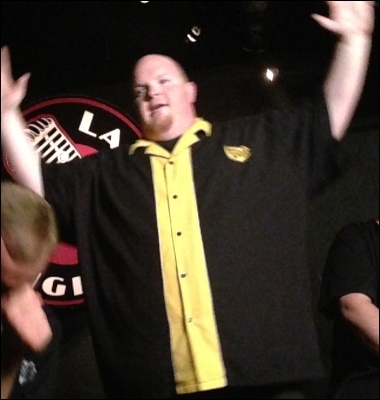 He's been indulging in his latest love of entertaining the public on stage with stand up and improv comedy! Making people laugh is what he truly loves to do. His grandmother always said "If you can make one person laugh a day, you will change the world." He tries to make big groups of people laugh at once, so he can take Sundays off.